Welcome to the BOOST Conference! 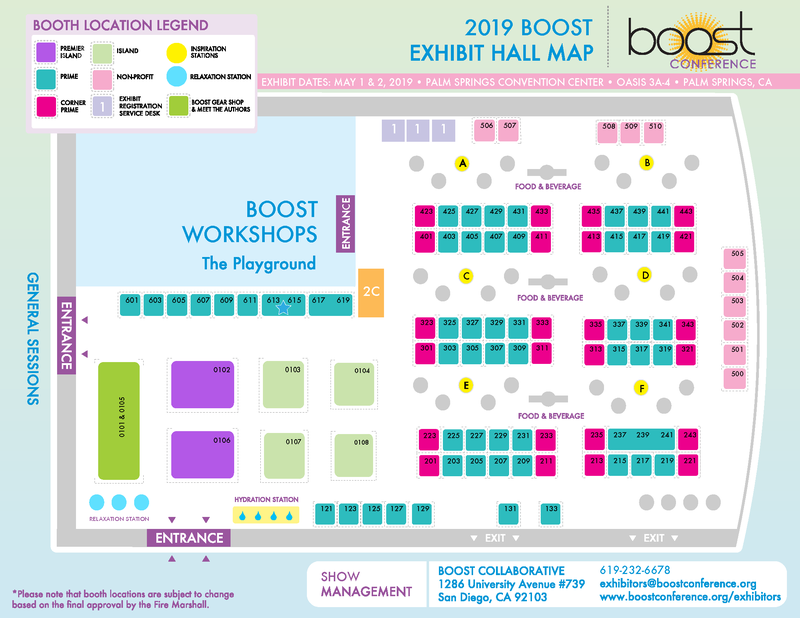 The BOOST Conference believes in “intentional collisions” and creates a space for this throughout the entirety of the BOOST Experience. We create opportunities and space to generate new ideas, meet new people, network, create, innovate, share, learn, think, and collaborate. Front Porches are welcoming, purposeful places designed by anyone that is attending the BOOST Conference. These areas are meant for intentional collisions- a place for BOOSTers to naturally and organically “collide” with other like-minded folks. A Front Porch can be anything you want it to be! 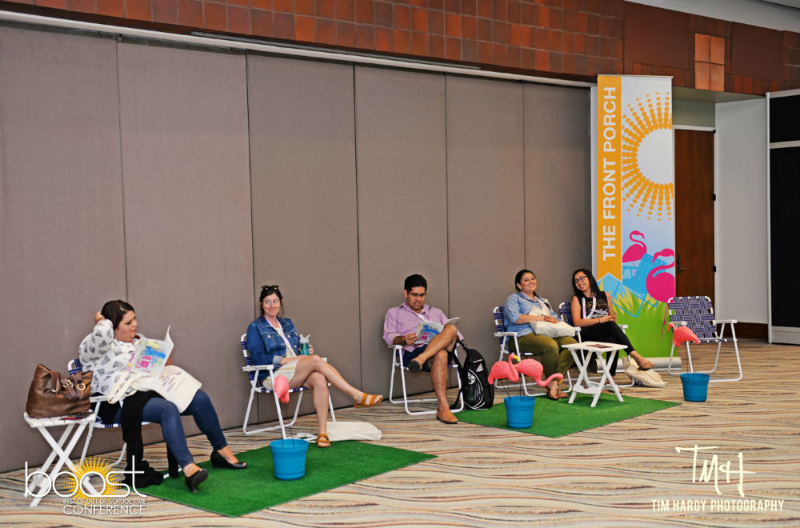 Front Porches are 10x10 areas located in the hallway outside of the exhibit hall and general session room. Front porch sponsors will need to provide their own tables, furniture, signage, etc. 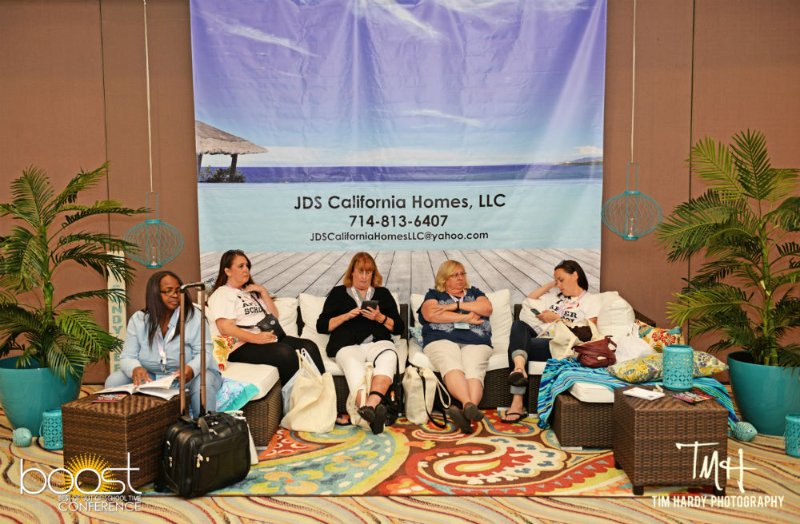 Display your banner and create a relaxed sitting area for attendees in the Palm Springs Convention Center hallways. Throw your personalized touch on it by choosing a theme, providing comfy chairs, and more! Your company will have the space to display one (1) banner on the wall behind the seated area with your logo in the conference brochure and website. BOOST Best of Out-Of-School-Time Conference® and logo are registered trademarks of Enoki Events, LLC. Please don't steal our stuff- it's not cool and it's against the law.